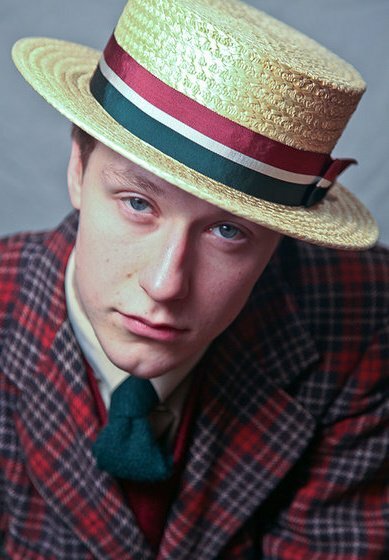 Dapper Chap #2 is Lassi, a student of English philology and History, from Finland. In his words, he is “a vintage enthusiast, a lover of all things beautiful, and a devout defender of everything old by heart.” An avid vintage shoe collector, he is also the president of the Finnish Vintage Association, Fintage-ry, based in Tampere, where he lives and studies. You can check out their website at www.fintage.net (the English part explains a little bit about them). As his ensembles below make clear, Lassi has a keen and impeccable eye for detail. However, he tells me he usually he opts for “a more laid-back and workwear-oriented approach” because “with these clothes I can signal that I love that era, be stylish, and look a little bit disheveled in the midst of it all. If I were to wear a suit, however, it would have to look perfect. Too much pressure there! 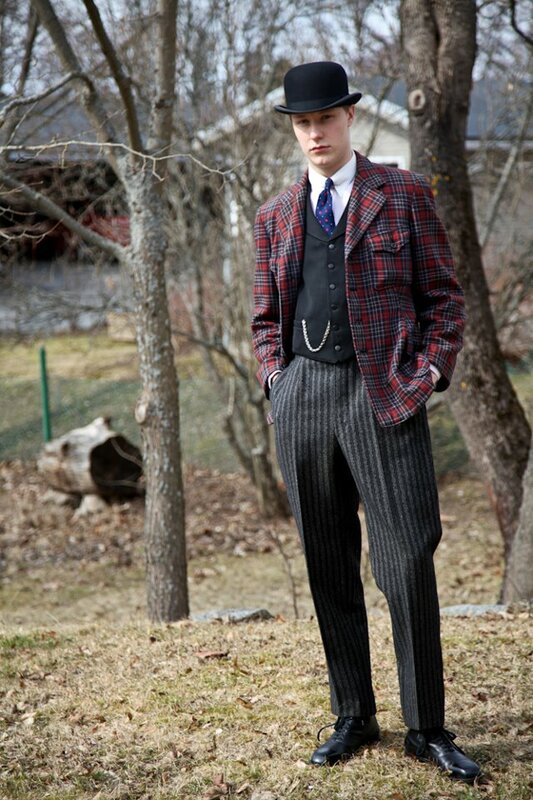 Also, 30s suits are sadly in the minority in my wardrobe, as I am lean and tall, a bad combination for vintage suits! 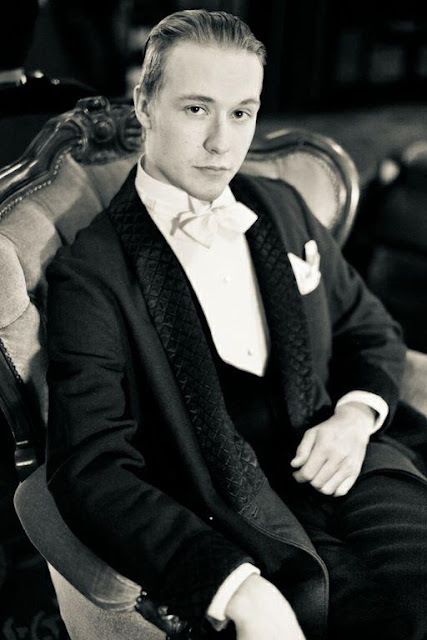 Whenever I am out watching burlesque or some other such event I wear my trusted 1930's black tie.” Whether formally dressed or not, Lassi is clearly one dapper vintage wearer! Yes! Lassi is totally awesome and stylish!! Propably the most stylish man in Finland. I am obsessed with Fintage.. :D I wish I could be part of their amazing vintage world, I admire them all! Wow! Where can I get one for myself? Such a well dressed and attractive gent. I love Fintage! One of my good friend Sylvie (365 days vintage) is part of this association, she will come at my home next week!!! Present vintage guys is really a good idea, there are a lot of vintage gals, but not so much men... My husband really love these "Dapper Chap"... if you want, he can be one of your future vintage guy! He is definitely amongst the best dressed men out there. Impeccable taste. What an impeccably stylish gentleman. These outfits are amongst the most wonderful examples of a modern chap sporting vintage looks I've ever laid eye on. I'm really enjoying your Dapper Chap posts! Like Laurence said, there are a lot of vintage ladies around but men seem to be more rare. And Lassi is, of course, always impeccably stylish! Lassi is a good friend and my favourite dapper chap of all time too. 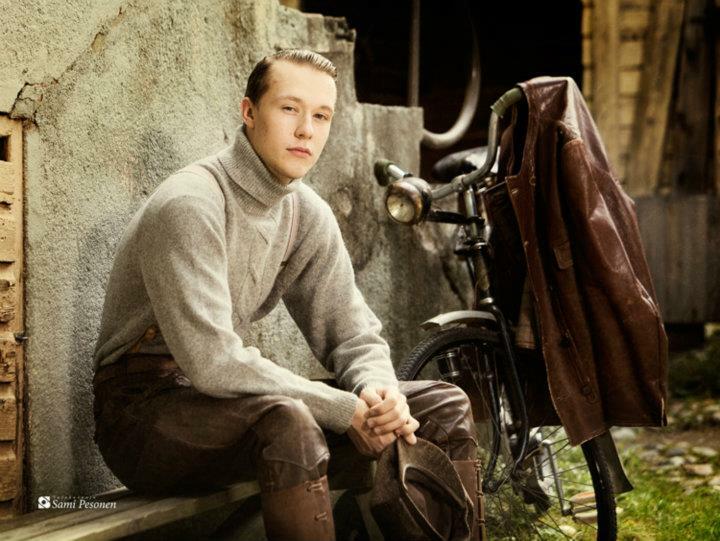 I always say he looks like a Leyendecker illustration come to life. I hope to get back to finland soon to meet him again.